We were very pleased to be contacted recently by Manuela Putz at The Research Centre for East European Studies * at the University of Bremen with regard to various x-ray records in their archive. 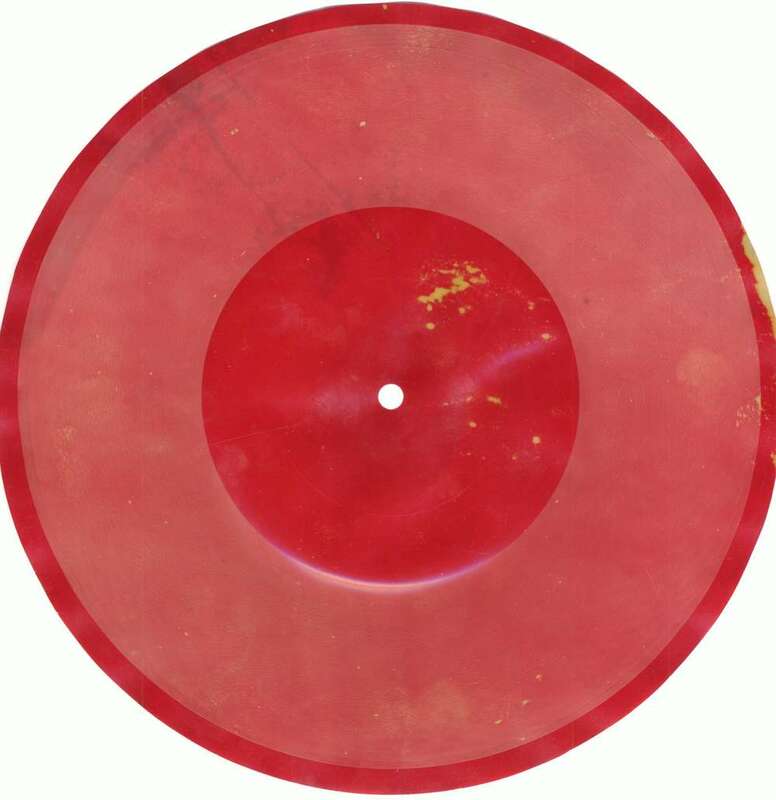 The records are part of the personal papers of the Polivanov-familiy and were donated by the philologist Anastasia Alexandrovna Baranovich-Polivanova (born 1932). They have an interesting Samizdat connection and musical history. Anastasia’s husband, the mathematician Michail Konstantinovich Polivanov, was active in samizdat circles and she is the daughter of Marina Kazimirovna Baranovich, a member of the underground Soviet Anthroposophical Movement, who helped to publish early samizdat works by authors such as Antoine St. Exupery. Study of anthroposophy, a mystical philosophy founded by Rudolf Steiner, was made illegal in the Soviet Union in 1923 and subsequently many Russian practitioners ended their lives in the gulag. The movement remained underground until the more open climate of the 1970s. The music on the discs is by French-Italian singer and actor Yves Montand. The first time Anastasia heard Montand’s music was at a "French evening“ (she was studying languages) at the Moscow State University around 1954/55. She was able to obtain an actual original Montand vinyl album but it was stolen in 1957 - such records would be very desirable and valuable. 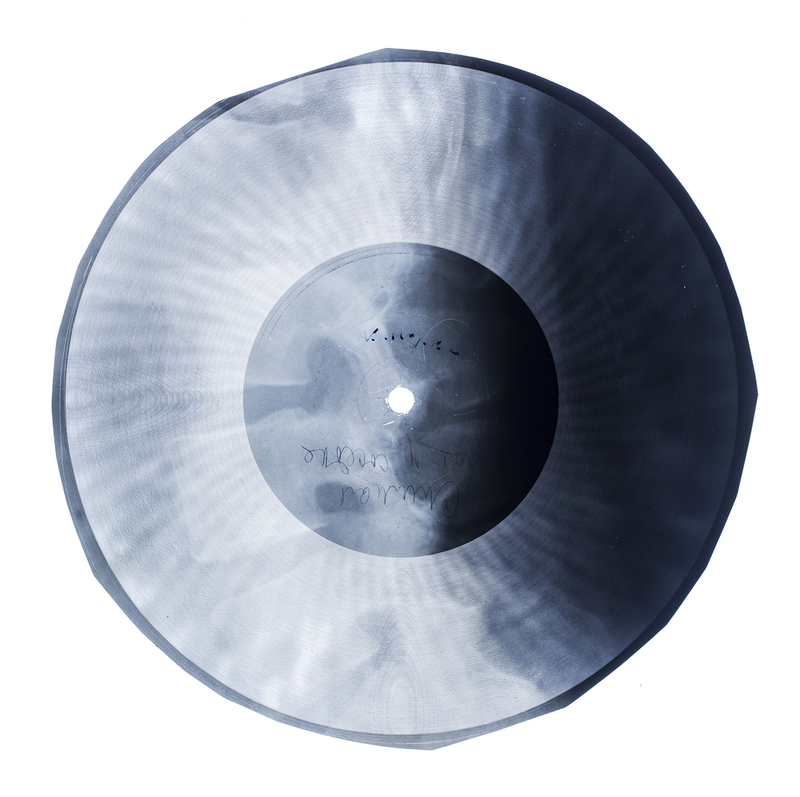 She was unable to find a replacement but a generous and resourceful friend somehow managed to find Montand songs recorded on x-ray and presented them to her as a consolatory gift. Montand and Signoret in the film "Yves Montand sings" a documentary about the singer's 1957 Russian tour. Yves Montand is an interesting case in relation to x-ray bootleg culture. Under the influence of his wife Simone Signoret he had become part of the radical crusading French left in the mid-1950s and both he and Signoret were subsequently feted in Moscow. He performed concerts there to great acclaim and the couple even spent time debating freedom with Khruschev. Given that, and the cultural ties between the Russia and France, his repertoire did not fall prey to the Soviet censor in the way that other Western music did - well, not until he become a critic of the USSR's foreign policy after the invasion of Hungary and the execution of Imry Nagy in 1958. 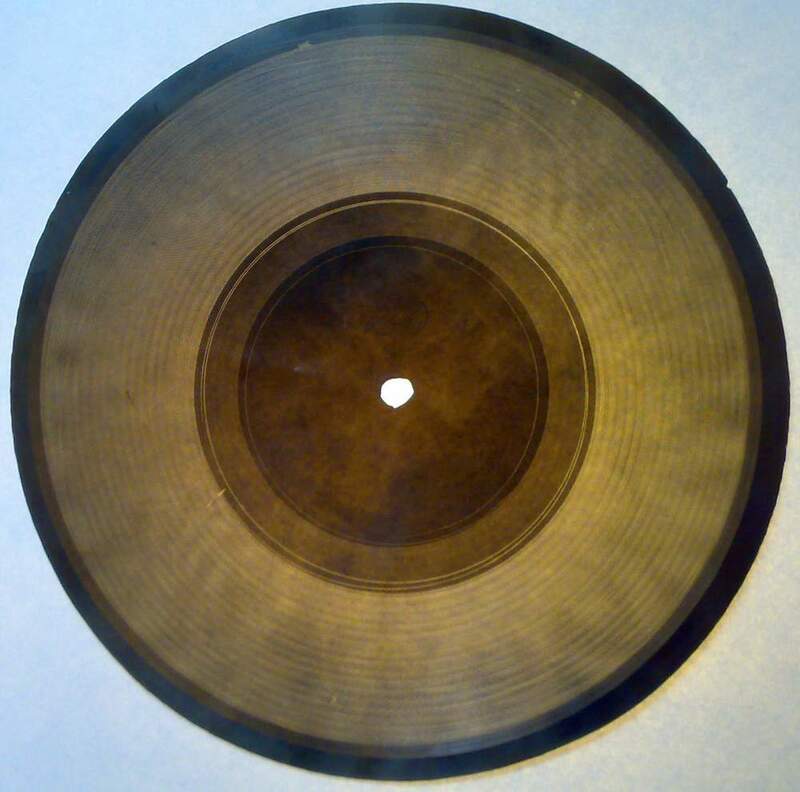 As such, these x-ray discs may be examples of more conventional 'bootlegs' - that is, privately made copies of records that were, or had been, officially available but were expensive or difficult to find. 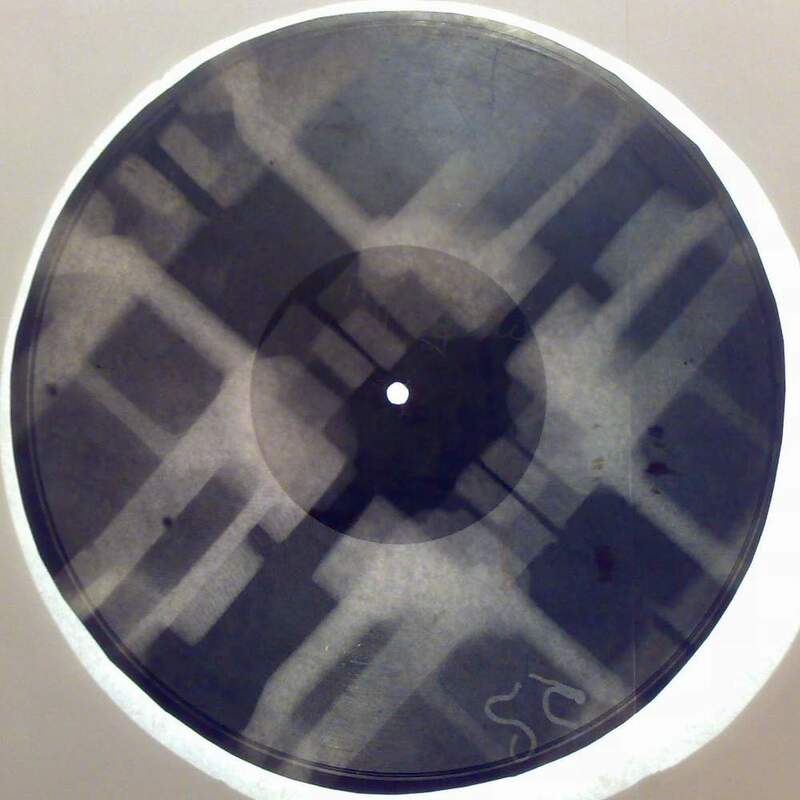 The rather beautiful unusual picture disc below containing the song 'A Paris' is also from the Research Centre's archive and is an interesting one. 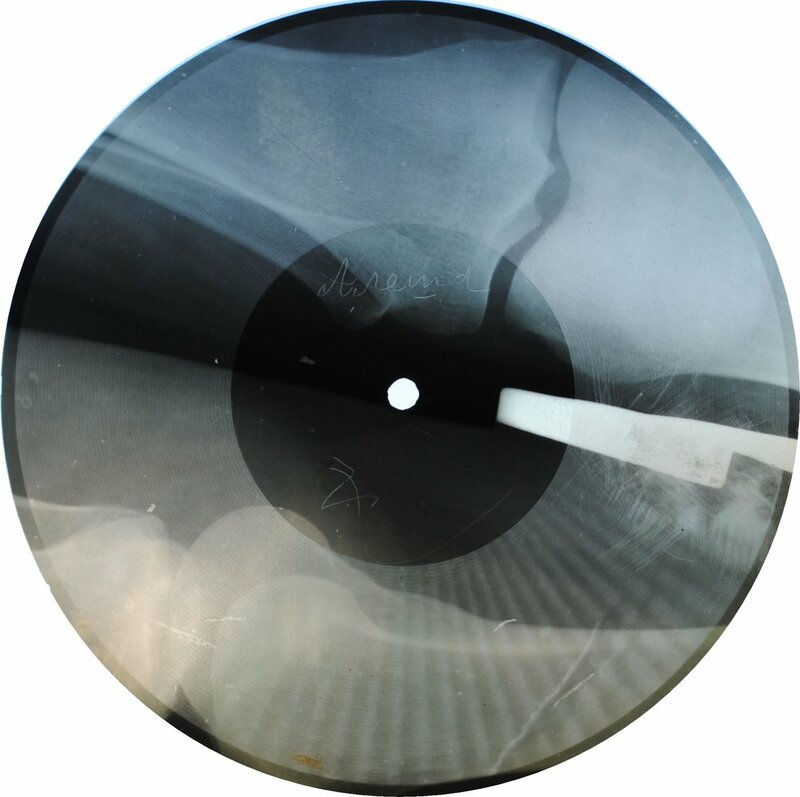 It is obviously not an x-ray but is an example of one of the other types of film used to create privately-made bootlegs - in this case, the music is cut onto the printers' photographic film used in the making of the cover of a book. 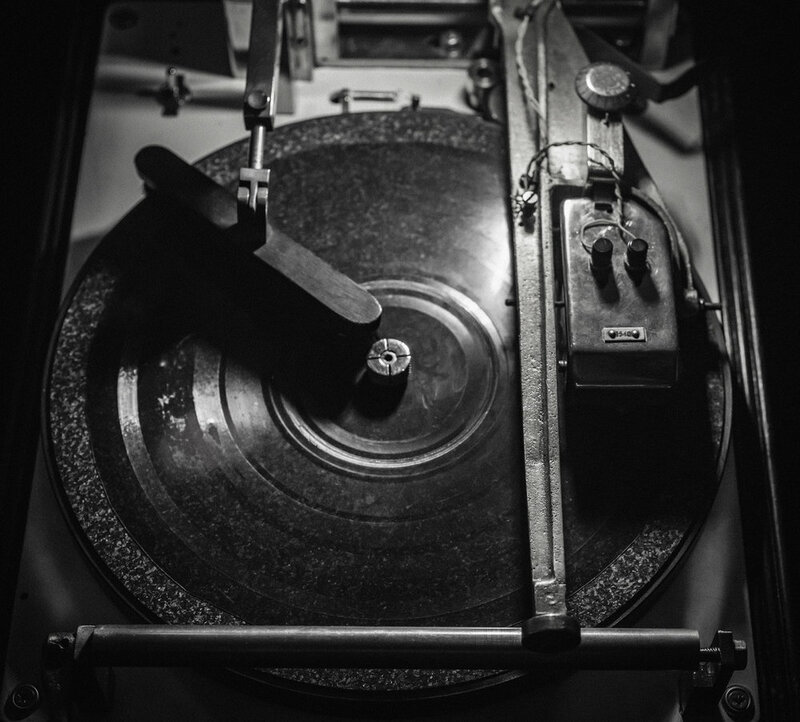 We have come across several records made using this kind of film - which, like x-rays, must have been suitable for holding the grooves of music written using a recording lathe.